When you’re down and out from an unlucky start, you might doubt that you have anything to give. But Laura Gisborne is proof that no matter what you experience in your childhood, you can be led back to the truth of your wholeness and become a leader who inspires tremendous giving in the world. Born to a teenage mother, and losing her father just days after her birth, Laura grew up in adverse conditions that included violence. By grace she was gifted a book by Louise Hays that changed the course of her destiny, and she went on to thrive, founding nine businesses…her first at just 23. Today, thousands of women and children are receiving regular contributions in multiple countries across 5 continents through Laura’s initiatives that teach companies to be both profitable and purposeful. Watch this interview with Laura to be intensely inspired about how you can transform your challenges into ways to be in service to others. Laura Gisborne is a highly successful business expert with over 20 years experience. From structuring and selling small boutique businesses to owning a multi-million dollar wine and real estate empire, Laura has owned nine businesses, her first when she was only 23 years old. Laura is an Internationally recognized speaker and serves as a business consultant for business leaders and entrepreneurs in a wide range of industries. The innovative business model of her company, Legacy Leaders Global, exemplifies that companies can be both profitable and purposeful. Through her initiatives, thousands of women and children are receiving regular contributions in multiple countries across 5 continents. She has served as a Guardian Ad Litem for foster children through CASA, Parent Education Coordinator for Family Outreach, Board Member for Habitat for Humanity and Sedona School District, and is on the Business Engagement Team of the Pachamama Alliance. I love mentoring women to rewrite the story of their lives through inner transformation, connection to essence, remembrance of purpose, and realignment to authenticity and truth. If you don’t want to settle for anything less than a life of passion and purpose, I have a gift for you: a free copy of my new book, Reinvent Yourself: Indulge Your Deepest Desires By Becoming Who You Are Starving To Be! 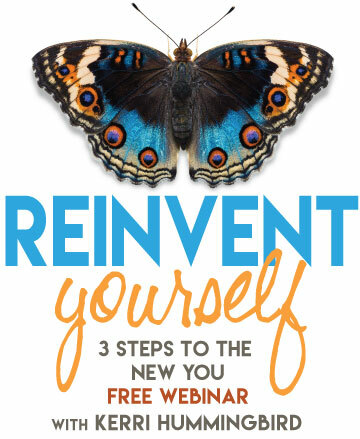 This book shares the secrets to reinvent yourself in 3 Steps! Soul Guide. Award-Winning Author. Speaker. Mentor. READ an Excerpt from the Award-Winning memoir, Awakening To Me.